I don’t consider myself an overly dainty kind of gal. My parents used to joke about having to send me to charm school when I was younger. In my defense, I grew a thick skin early in life thanks to my two roughhousing older brothers and twelve years of competitive basketball. Despite my less-than-ladylike tendencies, there’s something about spring that brings out my inner pinky finger and longing for all things poised and pretty. Maybe it’s the emergence of delicate spring flowers or the over-abundance of pastel hues that seem to pop up around every corner. Whatever it is, by the time the last snow thaws, I’m longing to wear charming knit top patterns with beautiful lace stitch work and polished knit scarves with feminine flare. This spring, put on your red lipstick and stand up straight in some of AllFreeKnitting’s loveliest tank top patterns, halter tops, and other ladylike knits. 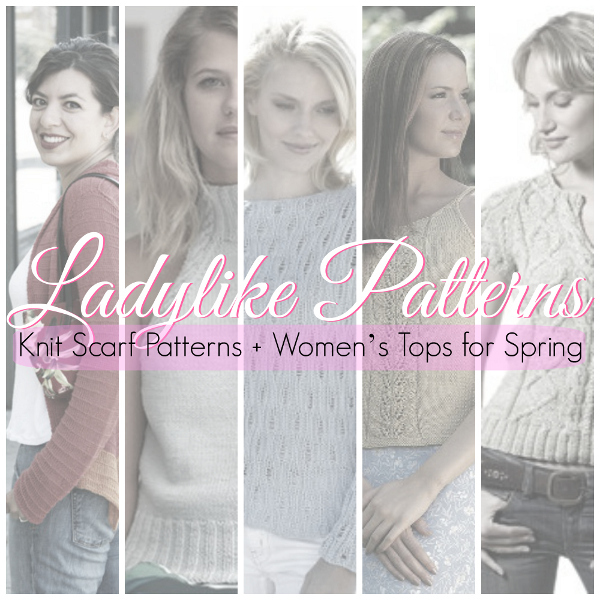 There’s a feminine and easy knitting pattern for everyone in this list of darling lace tops, flattering warm weather sweaters, and pretty polished knit scarf patterns. There's nothing prettier for spring than crisp top with a flattering fit and a timeless silhouette. This season, don lovely lace blouses in candy-colored hues. There's a knit top in here for every kind of gal, so pull out those knitting needles and whip up some of these ladylike halters, tanks, and tees! Every ladylike ensemble needs a little help from a fun knit accessory. Try a light and lacy knit scarf pattern to accentuate a pretty neckline or to draw attention to a new haircut. Airy knit cowl patterns are still fairgame for warmer weather, as well. 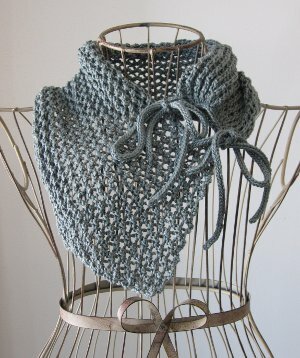 Just look at the cloud-like Arrowhead Lace Cowl. There's nothing like a few rows of ladylike lace to celebrate spring. What an awesome collection of scarf patterns. This is one of those something for everyone collections to keep as a reference or for future usage. This collection includes scarves for all occasions. It is presented in easy to understand terms for all levels of knitters. A definite keeper.